Amy Sue Nathan:Having my book out in the real world is surreal on one hand, and very tangible on the other. I have likened it to an expected surprise, like a baby. You know it’s going to happen, you’ve been preparing, you’ve read all the books, made all the plans—but when it happens, it’s still full of unknowns, twists, turns, and surprises. Hopefully, most of them good surprises! L2: THE GLASS WIVES is all about family. 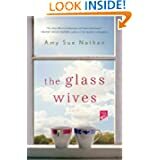 Of course, many women readers can relate to that topic, but what makes THE GLASS WIVES different is that it is based on this idea of an unconventional family. How do you see the vision of ‘family’ changing in the 21st century? Amy Sue Nathan: I think what is changing is the idea of what is unconventional. One of the reasons I wanted to write a novel about a “newfangled” family was because I felt there was a lot of lip service given to families that weren’t mom/dad/kids. I’d heard people say that family is what you need it to be, or want it to be, or what you make it, but when I divorced in 2002, after being with my ex for 20 years, all of a sudden (or so it seemed), I was not longer part of a full-fledged family in the eyes of many people, and in a way, even to myself. I wondered where all the acceptance had gone and realized it was idea of a single mom family that people (or the people in my life) were okay with, but the actual fact of it, no, they didn’t really deal well with it. I had to get a grip on it, so I did. But most people still look at a single-parent headed household as a whole missing a part. I think that once people actually accept families as equal in weight, no matter their configuration, then the vision of family will actually resemble the fact of family. L2: As I was looking over your website, I came across your definition of family, “home isn’t broken unless there isn’t love inside it’s walls.” Do you believe that home truly is where the heart is? Can you expand a bit on this quote? Amy Sue Nathan: I’m a homebody. No matter where I am, no matter what I’m doing, I’m always drawn toward my home, which for the past 14 years has been a ranch house in a tiny suburb of Chicago. I shudder when someone refers to kids of divorce being from a broken home. Often, divorce fixes a family more than it breaks it. Obviously the word “broken” has negative connotations, and that bothers me. I may have a broken chair in the dining room, but neither my home, nor my family, is broken. It’s the matter of another perception of unconventional families that I try to dispel in THE GLASS WIVES. L2: How did you arrive at the title, THE GLASS WIVES? I am assuming a sense of fragility, the fact that families can crumble and break…or was there something more? Amy Sue Nathan: Honestly? The book had several different titles, but the one that stuck was The Glass House. Then, about six weeks before my agent was going to start submitting to editors I was working on a final edit or two and the title hit me. The book was about The Glass Wives. I knew at that moment it was a keeper. And yes, there is an element of the metaphorical glass, and also the literal. The main characters’ last name is Glass. 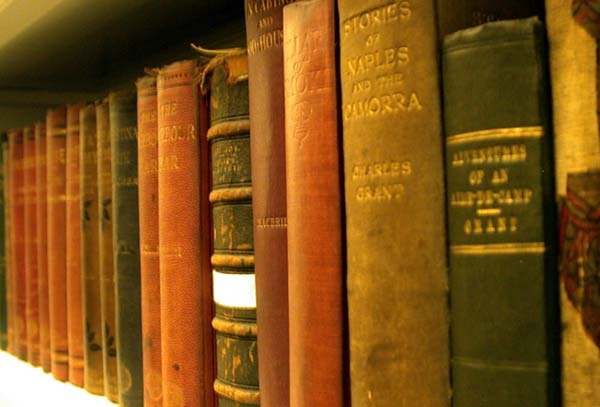 L2: On to agents…can you give us writers some sense of what your journey was like when you set out to find an agent? What advice would you give a writer who is determined to have their work represented? Amy Sue Nathan: It might be cliché to say DON’T GIVE UP but it’s the truth. I’ve come across many aspiring authors who send a dozen queries and stop. If someone is determined to be published traditionally, as I was, then they need to be in it for the long haul. I sent 116 queries over 10 months before signing with my agent, Jason Yarn, of Paradigm. I’d also recommend listening to any advice any agent gives you. You don’t have to follow the advice, but it’s a good idea to think about it, see if it makes sense, and make changes if need be. Another thing to do is to continue writing while you’re querying. Write short stories or a new book or essays or something else to remind you why you’re sending queries. That’s because you want to keep writing and you want to be published by a publisher. Amy Sue Nathan:My professional writing career started in the 1980’s. I was a writer at a few nonprofit organizations and corporations before becoming a fulltime stay-at-home mom. I had a variety of part-time jobs over the years, some included writing and some did not. I started writing for myself again around the time leading up to my divorce, when I realized the only creative thing I was doing was adding peas and carrots to macaroni and cheese. In 2006 I went on a date (a one-date-only date) and the guy asked me if I’d ever considered blogging, because my writing style in the emails we’d exchanged seemed really suited to it. I never saw him again, but that week I started a blog, and by the end of the year I’d had my first essay published in The Chicago Tribune, where I published pieces in about 10 issues through 2009. L2: WomenFictionWriters.com was founded in 2011. Can you tell us a little more about your blog and what type of resources exist there? Amy Sue Nathan: I started the blog because I was looking for a place to connect with other writers who wrote what I define as women’s fiction—which are stories about a women’s journey that do not center on a romantic relationship, at all. At this point I’m seeing that there are many definitions for the genre, and a bunch of perceptions, not all of which I like, but to each her own. Right? At WFW I try to focus on the authors, books, and craft of women’s fiction. I interview authors and often it’s as much about the author as a person, his or writing and life, as it is about the book. The craft posts are really popular, because I think so many writing posts are either very generic or very specific—and on WFW we try to bring everything back to women’s fiction, which doesn’t happen many other places. L2: Can you give us aspiring writers some words of wisdom on the craft? Amy Sue Nathan: My most recent advice to myself is to separate business from craft. When I’m writing I can’t think about selling the book or even about the readers, I just have to tell the story in the best way I can. There will hopefully be time later to think about the needs and wants of others. Writing, even when you want to publish, has to be selfish at first. Write YOUR story as YOU see it. Tweak it later. But never write to the market because by the time you’re finished, the market will have changed. L2: Finally, will we be hearing more from you? What’s next? Another book? Can you give us a glimpse inside? Thank you for having me on your blog, Leslie! Amy Sue Nathan‘s debut novel, THE GLASS WIVES, published by St. Martin’s Press May 2013. In addition to blogging, her stories and essays have appeared in The Chicago Tribune, The New York Times online, The Washington Post online, The Huffington Post, Chicago Parent, Grey Sparrow Journal, Rose and Thorn Journal, Scribblers On The Roof, The Verb, Hospital Drive Journal and The Stone Hobo. She’s also a freelance fiction editor, and a reader for literary agents. I’ve also been fortunate to contribute to four amazing writing sites, Writer Unboxed, Beyond The Margins, The Book Pregnant Blog, and Girlfriends Book Club. I’m currently serving as Secretary for the RWA-WF chapter, a contributer to the Writer Unboxed newsletter, and a member of the 2013 Class at The Debutante Ball blog. I saw this book the other day at Barnes and Nobel on their bookshelf, it looks very good. Small world! !